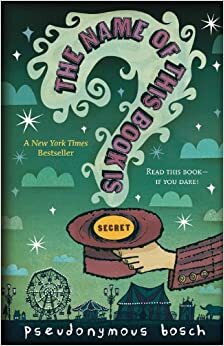 The Secret Series is a series written by the famed Pseudonymous Bosch who writes with a "dry sense of comedy," as Write Away describes. The series is about a search for The Secret, the secret of everlasting life and power. Max-Ernest and Cass have to beat the race against The Midnight Sun, a group of evil alchemists who plan to take over the world and discover the secret, sorry, The Secret, of immortality and the deep secrets of true alchemy. Will they manage to discover the Secret in time before the Midnight Sun? When Cassandra hears about an old magician's house left to ruin, she gathers up courage, and with Max-Ernest, the way-too-overtalkative aspiring magician, she seeks out the Secret, working against a pair of evil alchemists to save both themselves and the rest of the world. The alchemists run a group that call themselves Masters of the Midnight Sun, and have learned how to give themselves everlasting lives. Max-Ernest and Cass receive gifts and are asked to join the Terces Society, a group that also seeks the Secret and tries to avoid it falling into the wrong hands - in the hands of the Midnight Sun. Personally, I feel the word is okay. The plot's fine but sometimes you can guess what comes next. Would recommend it only if you haven't yet read the next books in the Secret Series, though you might want to read The Name of This Book is Secret first. I find that Bosch is a little less dry in this book. You might find yourself even hating some of the characters (Dr. L and Ms. Mauvais don't count). I hated a girl with a smug smile and mean personality. I won't tell you her name but if you read the book you'll know who I mean. Clue: Sapphire, Jade, ____.